Here is a light weight replacement for your rusty 1979-1993 Mustang deck lid. This is a bolt on Fiberglass trunk lid, weighing approximately 14 lbs. and bolts directly to your hinges and will accept your key lock and latch. Also the coupe trunk lid will work on the 1979-1993 Mustang convertible. Made from high quality hand laid fiberglass. 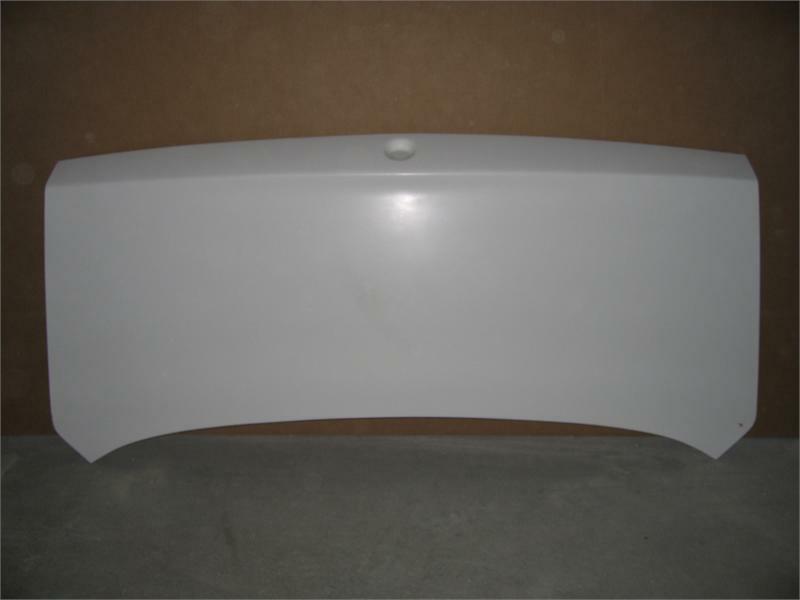 Our fiberglass parts are made with a tough white gel-coat surface, that resists fiber strand print through. We only use the very highest quality surface coats, better than the general purpose gel-coats that’s used by most of our competitors. 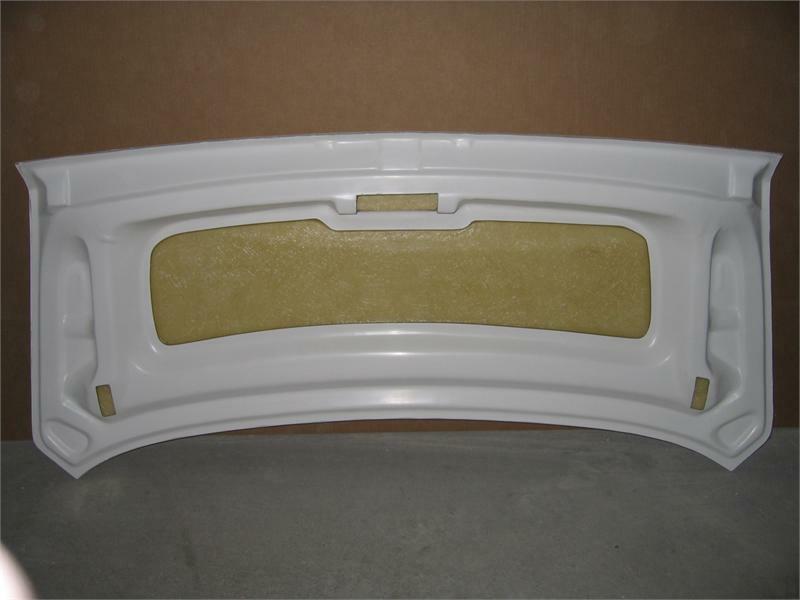 Our Fiberglass parts are engineered for strength and reliability. H.O. Fibertrends takes the time to laminate blocks of aircraft quality aluminum into the fiberglass under structure for you trunks latch. This trunk lid comes with high quality new Sims bolts for your latch to help make your installation quick and easy. After our fiberglass parts come out of their molds, we remove the flashing and finish the edges for you. Filling the gapes left by bonding the top and bottom structures together, Most of the fiberglass parts you buy from our competitors rely on you or your body shop to make those repairs before painting the trunk lid. Pulling all this together. The fiberglass parts made by H.O. Fibertrends give you the best value in a quality well fitting body part.